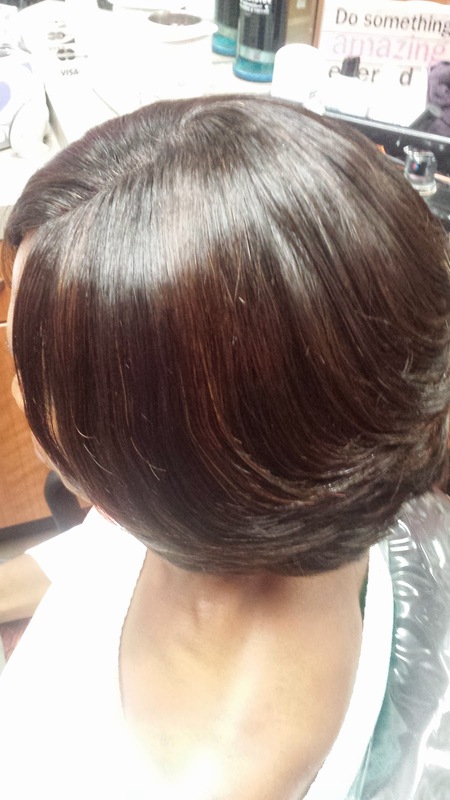 This sew-in was done one month ago and this client came in to get a good shampoo and conditioning. This is a full sew in with a silk closure so none of her hair is out. She used hair from my very own L. Jones Hair Collection. The hair still looks and feels absolutely amazing! A lot of hair tangles tremendously after you shampoo it but the hair from my collection can be shampooed as often as you prefer! 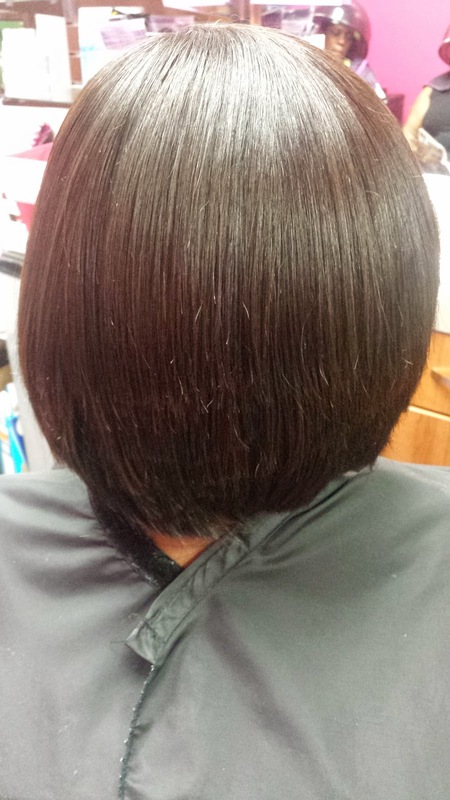 People who see her on a regular basis could not tell that this was not her real hair which is the goal of weave. It should look as natural as possible. These pictures were taken right after it was shampooed and dried and before it was curled to show how natural it looks. If she wanted to wear it like this she could without any problem but she chose to curl it up. I curled it in the layers that I cut it in. To maintain she can either wrap it or put on her satin bonnet. This hair holds curls really well so unless she gets it wet it will still stay curled whether she wraps it or not. This picture is showing the lace closure at the top to show that it blends right in with the rest of the hair, lays flat, and is completely undetectable! 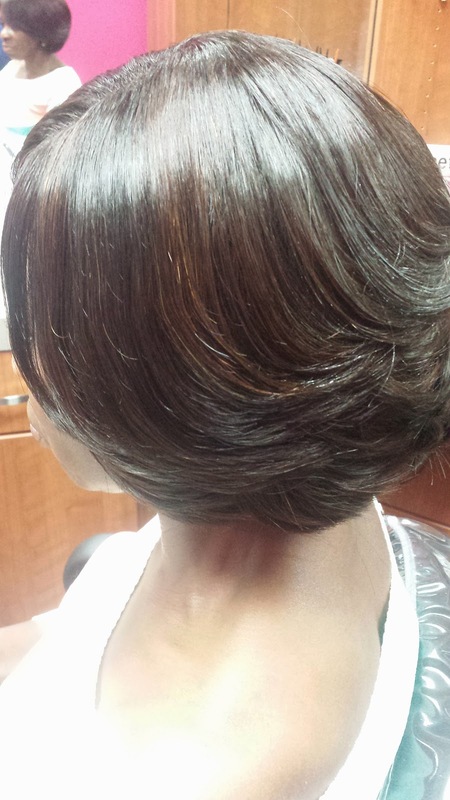 When maintaining your sew-in shampoo and condition every 1-2 weeks, blow dry, and style. Weave is so much easier to maintain than your real hair which is why it is so addictive. I do not recommend leaving your sew-in in for more than three months. 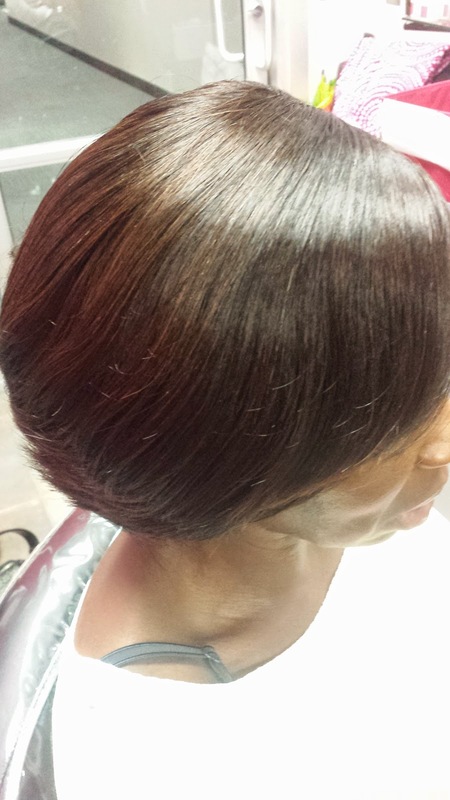 It will still look great but do not forget that your real hair still needs to be properly cared for. 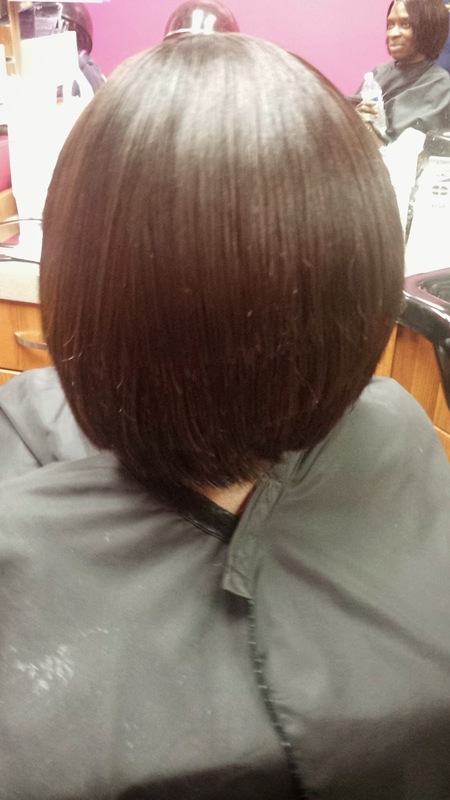 After three months it needs to be taken completely down so that your hair can get treated. Then you can put your weave back in.